If you love tag sales and flea markets, then you know how exciting it is to find a true treasure. 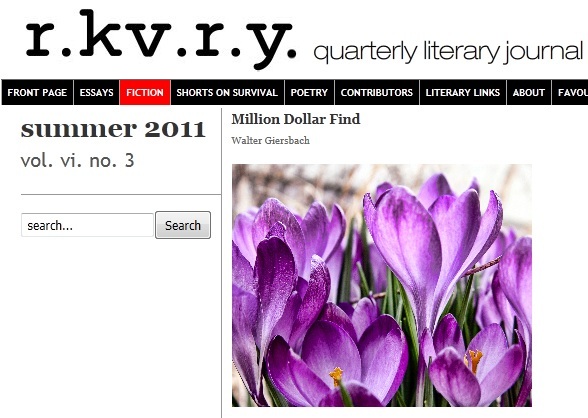 Posted on July 16, 2011, in Short Stories, Short Takes and tagged Flea Markets, Million Dollar Find, r.kv.r.y. quarterly literary journal, Tag sales, Walter Giersbach. Bookmark the permalink. Leave a comment.